Green technology has undergone a significant shift in both capability and perception over the past few years. Where it was once considered the choice of the environmentalist and the hippy, it is now the choice of the insightful and the aware. The label of ‘green’ denotes so much more than just ‘good for the planet’, it is also an investment into health, cost-efficiencies, natural resources and innovation, - something that is understood by Bosch Home Appliances. Many of the new devices and developments in the green technology arena sit on the bleeding edge of inventiveness and are redefining the boundaries of what technology can do. The current economy is shifting from the mass-produced perceptions of the 80s and 90s towards a green consciousness. Consumers are driving this trend and making purchasing choices that can impact on a brand’s popularity and sustainability. This is becoming increasingly true in the consumer goods market where green credentials can make or break a brand. In 2015, Nielsen released a study that showed how the Millennial and the Baby Boomer are willing to pay far more for a sustainable product, and that brands with environmental nous are more likely to build brand loyalty. This fact is further bolstered by another report from Ask Your Target Market. These results found that 68% of those surveyed are more likely to trust a company that they consider to be environmentally friendly. For the business, sustainability makes sense on a financial level. “However, beyond brand identity and bottom line benefits, investment into green technology is about a commitment to transformation and participation in a global awareness around climate change. Innovation in this space not only reduces energy consumption, removes the use of materials now recognised as potentially harmful to people and planet, and saves water, but helps consumers live a healthier and more financially sustainable life”, says Enrico Hoffmann, MD at BSH Home Appliances. Achieving green recognition in the eye of the consumer takes a lot more than just a green label and a cheerful marketing campaign. It is in proven technology that delivers reliable results and ticks the boxes that count - the boxes of energy efficiency, performance, water efficiency and product materials. Bosch has invested in its green technology to the extent that it was voted Germany’s most sustainable company. When it comes to energy, Bosch Home Appliances has paid attention to market demand. Its intelligent inverter technology uses sensors to monitor internal and external temperatures to ensure that fridge compressors adjust performance to match. This ensures that their cooling products are among the most efficient energy performers in the industry. Their fridge range also includes LED lighting, which uses less power than conventional lighting, and SuperFreezing technology which freezes food faster to use less energy. Technology has also had something of a bad rap when it comes to consumer appliances. Consider the dishwasher, for example. Most people believe that it uses more water than traditional sink and tap, and that it is a far less environmentally savvy solution. They would be wrong. In fact, washing the dishes with a Bosch dishwasher uses only seven litres and 0.67 kWh, compared with the 40 litres of water and 2.60kWh when washing by hand. The saving is an estimated 9,200 litres per year which gives you five more showers or cuts your water bill by enough Rands to go out for dinner. Water efficiency is essential for every consumer in South Africa, especially in light of the water crisis affecting many parts of the country today. Consumers are taking serious steps to cut consumption and in this, green technology can take the lead in redefining products and solutions. Bosch has invested in green technologies for all its products. Many of the engines used to drive the washing machines, fridges and dishwashers have been engineered to environmental perfection, designed to reduce energy consumption and noise pollution. For example, their SuperSilence technology ensures quiet operation for open-plan areas, a nice benefit for those who want their sustainable kitchen accessories to do their jobs silently. It is also a much-needed solution for people who live in complexes, flats or open plan areas already battling with the effects of noise pollution. It is essential that brands invest in solutions that address the challenges of the current climate. Green technology can play a pivotal role in helping consumers to limit expenditure, commit to their sustainable ethics and reduce the size of their environmental footprint. 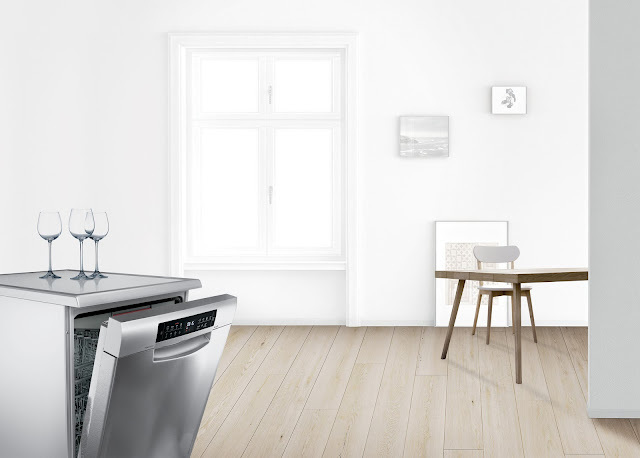 For more information about Bosch Home Applicances, feel free to visit their website; http://www.bosch.co.za/en/za/startpage_18/country-landingpage.php.